Patchouli oil (pogostemon cablin) is derived from a variety of mint, Pogostemon cablin, that grows in tropical regions. Patchouli is a powerful, pungent essential oil, mossy and musty, earthy and exotic.As an aromatherapy agent, patchouli oil is both relaxing and uplifting. 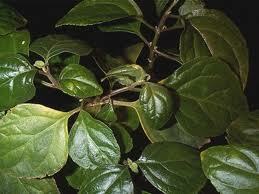 Patchouli oil also may be used as an aphrodisiac; the warm and spicy fragrance encourages sensuality. Patchouli cools and calms dry, cracked skin, soothes sunburn and is excellent on irritated skin.